Far too many studies show that Americans who are most in need of estate planning have done absolutely nothing to protect themselves. 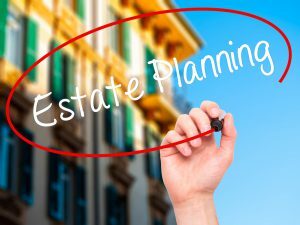 Some of the most common estate planning mistakes can have a significant impact not just on you but also on your beneficiaries when you pass away. Failing to update you wi ll. Many people believe that their will is a ‘set it and forget it’ document, but if you get divorced or have any other major life changes, your will needs to be updated. Not having a will. Up to 64% of people living in the United States do not have a will at all. Many believe that they just haven’t gotten around to it or that they didn’t need one, both of which can be catastrophic mistakes. Overlooking the benefits of a trust. Wills only account for how your property will be distributed when you pass away but trusts go on for a set period governing the distribution of those assets. They can also provide greater control and privacy. Not being realistic about your heirs. Make sure you consider whether or not your beneficiaries have the emotional and financial capacity to handle money appropriately. Choosing the wrong trustee or executor. Choosing the individuals who will help step in and make decisions for you or to assist your family when you pass away can be extremely important. Make sure that the individuals that you have chosen understand the responsibility and are willing to accept it. You may also need to appoint contingency people to serve in this role in the event that the person you originally selected passes away.